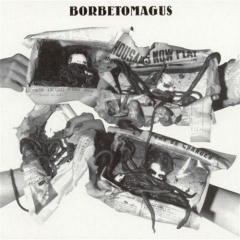 Borbetomagus is a trio of Don Dietrich (reeds) Jim Sauter (reeds) and Donald Miller (guitar) and additionally Brian Doherty (electronics) that has existed since the mid-seventies. 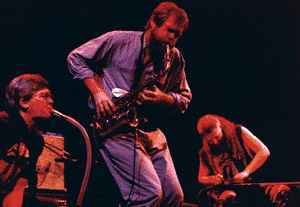 This is free-improv "jazz" of the most extreme nature and its not for the faint hearted, since Borbetomagus create a heavy bone crushing wall of noise. They were working with many artists, including Thurston Moore and the Swiss duo Voice Crack. Borbetomagus was the capital of the first Burgundian kingdom (411 - 437) with Gundahar being the first king. Borbetomagus was the old Celtic name of that city, nowadays that same city is known as Worms (in Germany).